When a couple has tried to conceive and has been unsuccessful they may decide to seek the help of a fertility specialist. If the woman is having difficulty ovulating or is ovulating infrequently or irregularly one of the first things that will be tried is infertility medication. This is one of the least invasive forms of infertility therapy. There are several medications that can be used to treat ovulation disorders that affect fertility. 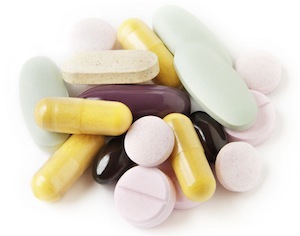 Not all medications will work for all infertility problems. Because there are so many causes for infertility it is important that your doctor find what is causing your infertility before he or she prescribes a specific medication. Clomid and Serophene are brand names of clomiphene. Both work by making the body think it does not have enough estrogen. This causes the body to produce more of the hormones that release GnRH, which causes the body to make and release more FSH and LH. This combination typically results in ovulation. Clomid is the most well known and popular of the drugs. It is taken for approximately five days in doses that vary depending on the woman. Over half of the women that begin taking Clomid conceive within three cycles. These medications are not generally recommended for durations exceeding six months. For women with unexplained fertility problems clomid is typically used in conjunction with a fertility treatment such as IVF. The clomid helps the woman produce multiple eggs before the fertility treatment. Clomid is most successful in women who have fertility problems cause by irregular, infrequent, or absent ovulation. In these instances clomid results in pregnancy for up to seventy-five percent of women. The chance for multiple births is slightly higher in women who use clomid to facilitate pregnancy. Other side effects are usually mild and can include nausea, headaches, and hot flashes. Parlodel is the brand name of bromocriptine. Parlodel is typically prescribed for women who have a tumor in the pituitary gland which causes the creation of too much prolactin. This extra prolactin can reduce estrogen levels and make ovulation more difficult. This condition is a very rare cause of infertility. The medication can be taken orally or vaginally. The pills are taken two to three times a day and may be taken for several years. It can take several months and experimentation with the dose before your period and ovulation resume normal function. Once this occurs you can try to conceive naturally. This treatment is very successful for couples whose primary difficulty was the result of the excess prolactin. Bromocriptine does not result in an increased risk of multiple births. Progesterone is a hormone that is a vital component of conception. If a woman’s body does not produce enough of the hormone naturally then progesterone therapy can help. The progesterone can be injected, ingested orally, or inserted vaginally. The progesterone can increase fertility by allowing the body to have a more normal menstrual cycle. Side effects can include nausea, headaches, joint pain, and depression.